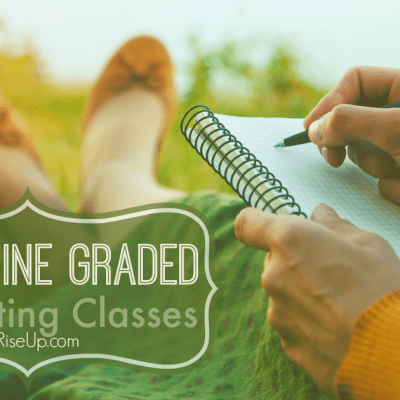 Have you ever thought about why seeds are planted in the ground? Can seeds sprout in the light? What exactly do seeds need to grow? 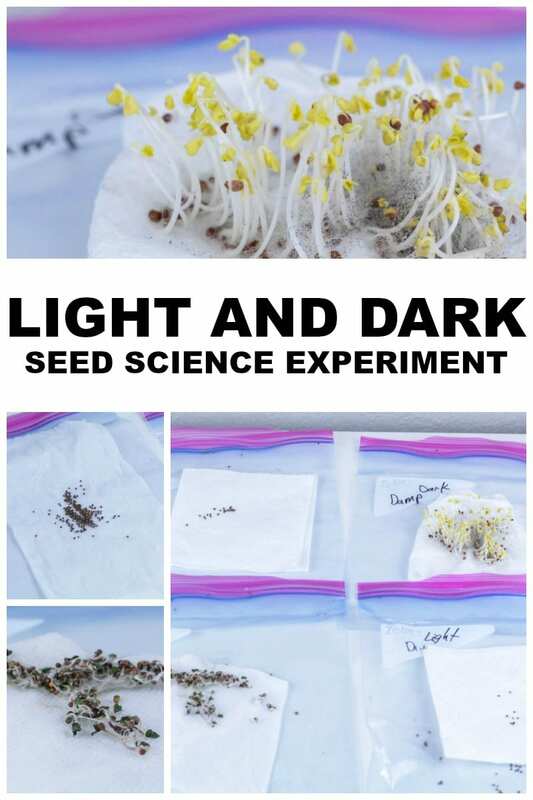 Find out in this light and dark seed science experiment. 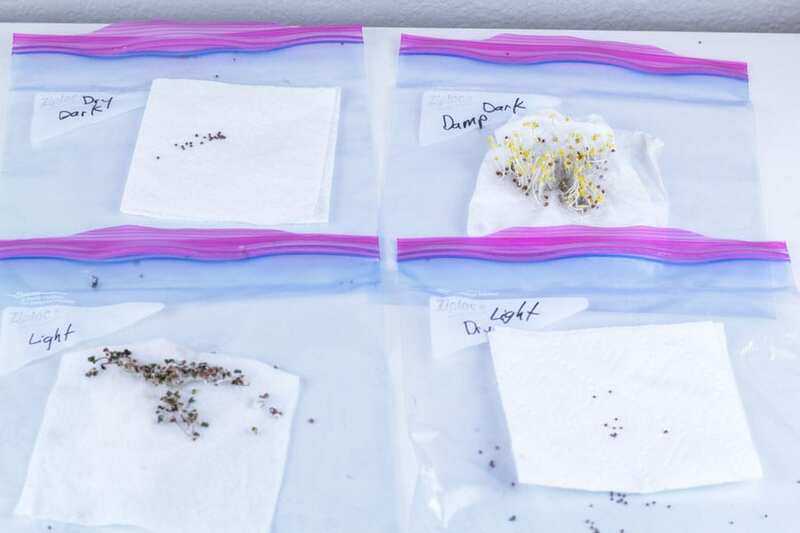 In this experiment, kids will learn how to grow seeds, what seeds need to germinate, how to determine the best growing methods for different seeds, and the basics of photosynthesis. This science experiment is perfect for kids age 10 and up! Dampen two of the paper towels and place some seeds on them. 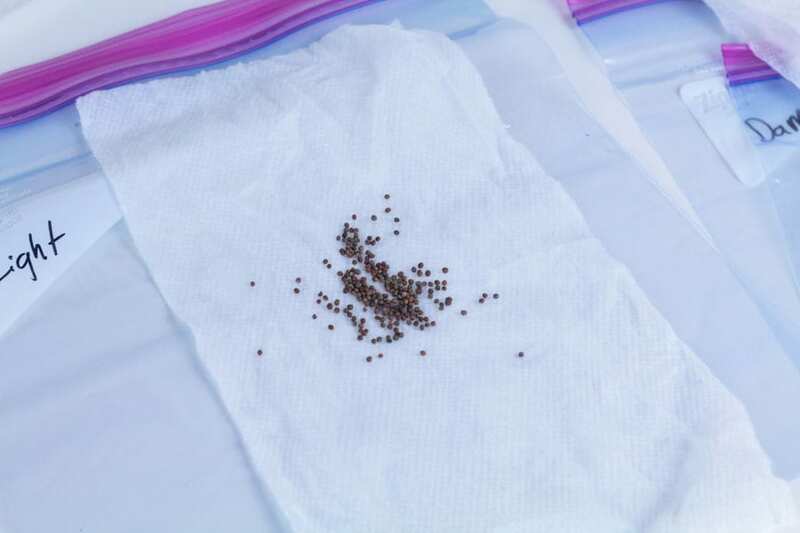 Place seeds on two dry paper towels as well. 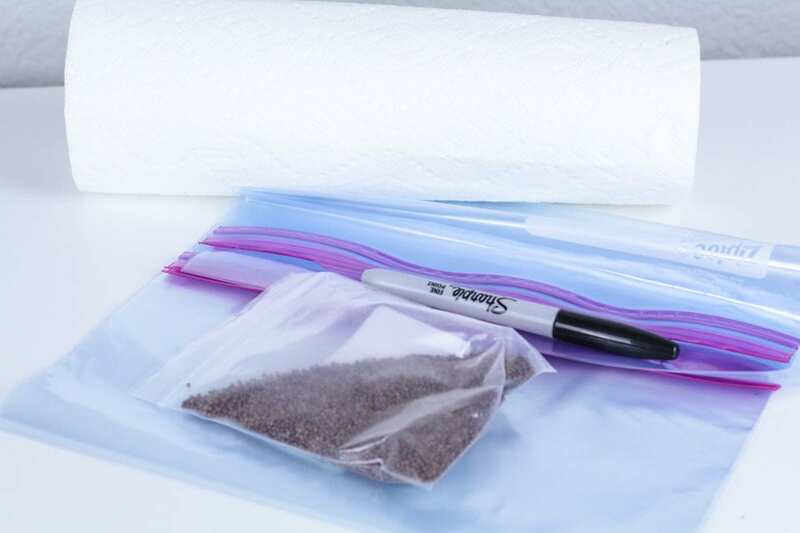 Place the paper towels into plastic baggies and seal them up. Place the two dark bags in a dark place, and place the other two bags in a light place. Wait 3-7 days for the seeds to sprout. 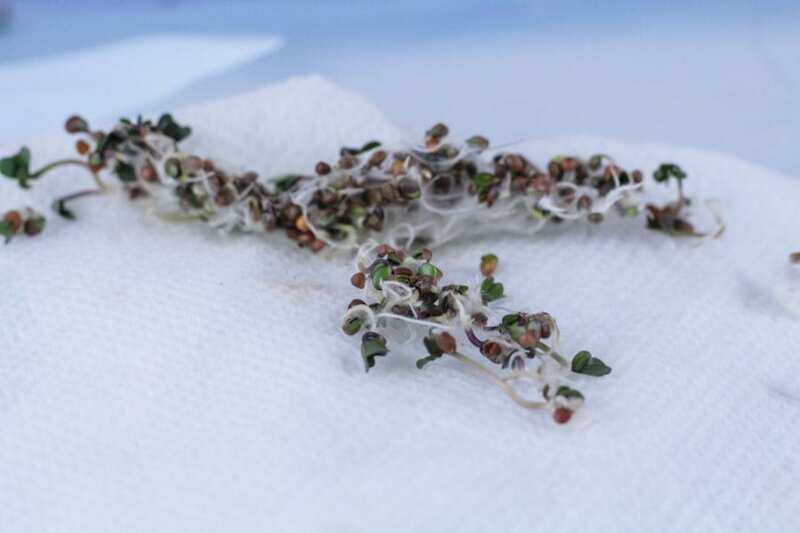 If you wait too long, the seeds will get moldy, so check on them every other day or so until they start to sprout. In our experiment, the seeds that were in the dark grew the best. However, both the dark and light seeds molded a bit, probably because we waited a bit too long to take them out. Seeds require water, sunlight, and nutrients to grow. 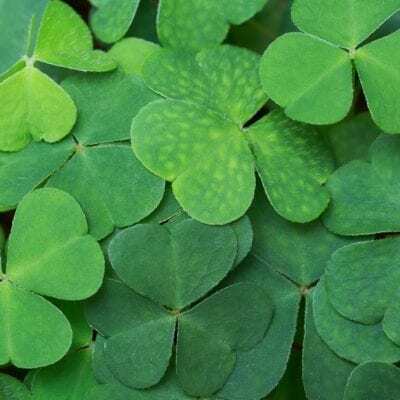 However, some seeds germinate faster in the dark, rather than the light. 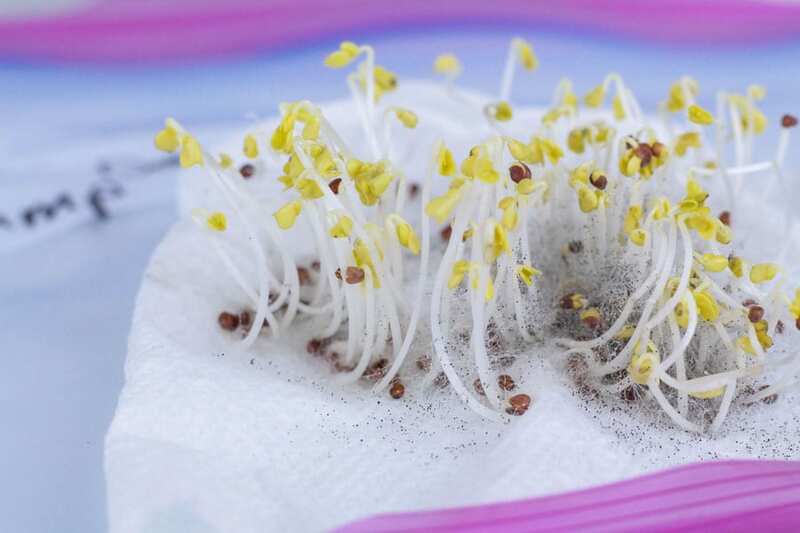 Our seeds sprouted faster in the dark, but soon turned a weird yellow color because they were not getting enough light to keep growing. Science: Talk about photosynthesis and what seeds need to germinate. Why didn’t the dry seeds ever grow? 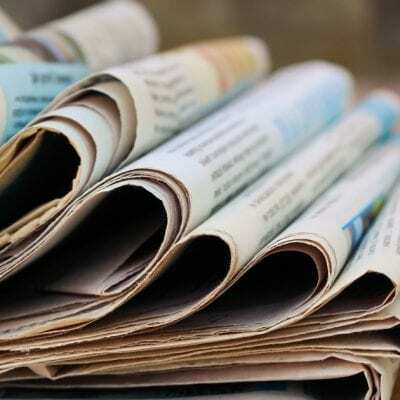 Technology: Examine your spouted seeds what a microscope. What do you see? Engineering: How could changes in the soil or location of the seeds change how well they grow? Why is this important? Math: Measure how long it took the seeds to sprout. Keep tracking how long it takes the seeds to transition from seedling to plant, then from plant to flower and seeds.